In May 2013, I visited the places where many young Canadians gave up their lives for freedom, democracy and the rule of law; that is, for our way of life in Canada. Normandy is rainy, windswept and cool. Of course, this weather pales in comparison with what our young soldiers endured in 1942. The beaches where they landed are surprisingly narrow despite it not being high tide. 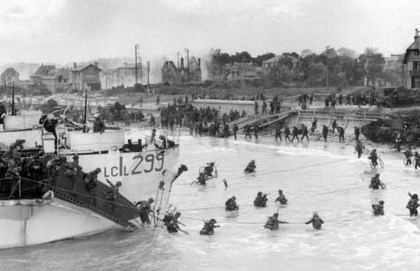 At Juno Beach on D-Day, June 6, 1944, Canadian troops suffered over a thousand casualties, including 359 deaths. Earlier, in August 1942, 5,000 Canadian military troops attacked the French port of Dieppe. After nine hours of fighting, they were forced to withdraw. 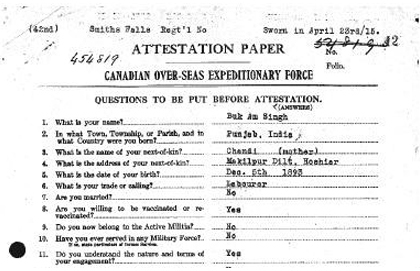 Over 1,000 Canadians died and over 2,000 were taken prisoner. There is no visitor or memorial centre marking the site where the troops landed. Instead, the Town of Dieppe has set aside a small park near the beach dedicated to Canadian sacrifice. The monument in the park bears the inscription "We thank you for our freedom." The Dieppe Canadian War Cemetery is located about five kilometres south of Dieppe. It is dedicated to the soldiers, sailors and airmen who lost their lives on the beach that August, who were all mainly Canadian. In total, 944 members of the Allied Armed Forces are interred at Dieppe, 707 of them Canadians. The Canadian troops were forced to leave many of their dead behind when they withdrew. The cemetery is unique in that it was created by the occupying Germans. The headstones in the cemetery have been placed back to back in long double rows that are typical of German cemeteries but unlike any other Commonwealth country. Most headstones incorporate the Christian cross. We arrive at the cemetery in the early evening of a cloudy, wet, blustery day. We are at an elevation well above the beach at Dieppe. The starkness is sorrowing. We are a small group—no one else is present. We walk on the beach at Dieppe where these young Canadians died. They never had a chance there on the beach, facing the machine guns above. Now we see some of their graves, row on row of individual tombstones. Some bear no name but the inscription "Known only to God." The number who died is staggering, but the impact comes not from the numbers. It comes from walking between the rows and rows of tombstones, reading the inscriptions. The Canadian officials with me, who live here, tell me they cannot bear to read the engraved comments of family members, usually mothers and fathers. I understand after reading the inscriptions on the tombstones along a row that is too long. Ages of 18, 19, 20, 21 years are common. Nameless tombstones include "A Soldier of the Second World War, a Canadian regiment, 19 August 1942" and "A Soldier of the Second World War, A Sergeant, 19 August 1942." We are seven or eight in total. We scatter in the cemetery without planning to do so. We range in age from our 20s to our 60s, but we are all Canadians and share the same feeling of sadness. We separate and walk alone, then come back together near the gate. The cenotaph stands near the gate. The lead Canadian official asks me if I wish to lay a wreath. I hesitate because wreath laying in Canada is, of course, usually done on Remembrance Day, with many people in attendance. We are but a handful of Canadians on this windswept hillside at dusk on a May evening. All of us are quiet. There is no media—just our little group and the wind and the rain. I lay the wreath at the cenotaph, say a prayer for those who were lost, and go for another walk in the cemetery by myself. I notice the others do also: a pensive time. We leave in silence. The next day brings a visit to Beaumont-Hamel, where the Battle of the Somme began in 1916. No Canadian infantry units participated in the attack, but the 1st Newfoundland Regiment, attached to a British division, was cut down on July 1 by machinegun fire as the Germans attacked over open ground. Within 30 minutes, the regiment suffered a crippling 324 dead and 386 wounded out of a total 801 soldiers. Here are trenches and tunnels, the reality of hand-to- hand combat, gas warfare and bayonet attacks. ln a tunnel, we are shown where the messengers slept: eight of them in what looks like a prison cell. The trenches were filled with water and vermin. The food was bad when it was available—not that it mattered much to the messengers. They were all volunteers with an average life expectancy of five to seven days. The entire Newfoundland Regiment was a volunteer force. Vimy Ridge is the only Canadian national memorial located outside Canada. The post-Second World War French government dedicated the land in perpetuity to Canada for memorial purposes. Of course, Walter Seymour Allward's monument is without comparison. Visible for kilometres, it evokes both the sadness of war and the sanctity of life. It also, at least to me, declares triumphantly that life and its sacrifice for the sake of the freedom of generations to come matters. It mattered in 1917 for these Canadian youth, and it matters now. I make an official announcement at the Canadian National Vimy Memorial—funding to help improve the facility in time for the Vimy Centennial in 2017. Standing in front of the memorial, humility, given the sacrifices made by so many Canadians and the powerful sense of history one feels as a Canadian, is what is most important. Some visiting Canadians introduce themselves. We all share the sense of awe that we feel for our Canadian soldiers and the hallowed ground. This is where four divisions of the Canadian Corps served together for the first time, and prevailed against enormous odds. Then to the In Flanders Fields Museum at Ypres. The previous day, I had walked through trenches preserved so that we can catch a glimpse of the hardships that young Canadians endured. Here, I see a photograph from the First World War of our soldiers digging a trench: shoulder-to-shoulder, resolute, and so very young. The walks here bear the names of the soldiers who were never buried but who died on the battlefield. Many are Canadian. The Museum has a Visitors' Book, which I sign. I read some of the notes. A Belgian writes: "Peace. Thanks Again!" A Canadian says simply: "Rest in Peace, Granddad." In Ypres, there is a ceremony every evening at dusk at the Menin Gate Memorial to the Missing. Buglers play the Last Post under the arch. Every year, every month, every week, every day since November 11, 1929, the Last Post Ceremony has been held, with the only exception being during the German occupation of Ypres during the Second World War. We are under the grand arch just before dusk. There are cordoned areas for visitors and the spaces are full of people. I am able to wander about for a few minutes and meet Brits, New Zealanders, Australians and, of course, Canadians. There is immediate warmth. Admiration for our Canadian soldiers is stated again and again. There is respectful silence even before the ceremony begins. There are no speeches. The buglers play. Some people weep, and not just older people. The ceremony is simple and solemn. I lay a wreath at the cenotaph on behalf of Canada. Everyone is silent. I am introduced quietly to the buglers, one of whom is 86 years old and has never missed a ceremony in his lifetime. The silence continues as we return to our places. People start to chat as we do. The Chairman of the Last Post Association, which has made this ceremony happen longer than anywhere else in the world, takes me aside. He does not ask for government support. He says simply: "We need to remember that these guys saved our lives." The Honourable James Michael (Jim) Flaherty, PC (December 30, 1949 â€“ April 10, 2014), was Minister of Finance from 2006 to 2014.